Retirement News > Housing and Home Equity > Articles > 55+ Communities: What Are Continuing Care Retirement Communities? The decision to relocate in retirement is huge — especially since you literally have a world of options. You can retire anywhere and into a wide variety of housing types. Live and travel in an RV. Buy a big beach side home. Relocate abroad to financial or lifestyle reasons. Downsize to a small apartment. Buy into a retirement community. Different options may be better for different types of people at different stages of their lives. However, CCRCs are designed to provide for your evolving housing and healthcare. Have you considered a CCRC — housing that takes care of you as your needs evolve. CCRCs are senior communities that offer a range of housing and services that change as you age. CCRCs blend maintenance-free living with varying degrees of health care, should the need arise. They are called “continuing care” communities because they deliver a full continuum of living and health care services. Residents start in active adult housing with a full range of amenities — golf courses, swimming pools, lifelong learning classes and more. And then, as your health needs evolve, the community provides the support you might need like meal delivery, housekeeping, assisted living, skilled nursing, emergency care, memory care and more. When is the Right Time to Move to a CCRC? 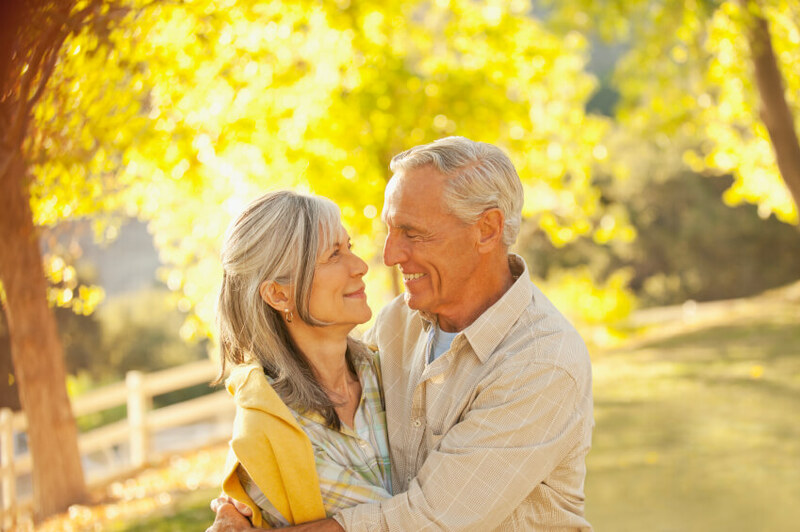 Is a CCRC Right for You? You usually have to be at least 55 and usually as old as 60 or 65 to qualify for a CCRC. However, the median age is higher — 81. There is no single right time. This is the more important question to ask: Is a CCRC right for you? If living in a CCRC sounds like your kind of retirement, there are major considerations before making the move. Many CCRCs can be an ideal living environment, no matter your age. Activity and Community: Some of these sprawling communities resemble something more like college campuses for adults age 55 and older. They can feel more like a high end resort with activities that are engaging to lifestyles of all kinds. There’s never an excuse to be bored at a CCRC, since many include a variety of restaurants, cafes, pubs and lounges, salons and spas, fitness centers, movie theaters, transportation services and so much more. Care: Long term healthcare and many other services are there for you if and when you need it. Improved Health: The Age Well Study found that residents of CCRCs say that they have greater levels of wellness than older adults in home and community-based settings. How much it costs to live in a CCRC varies widely from state to state, on the types of housing or services included and the way you structure your costs — do you rent or buy. Entry Fees/Deposits: Some CCRCs require an entry fee which, depending on the community, typically ranges from $100,000 to as much as $1,000,000, according to AARP. The deposit can often be returned in part, or in full, if a resident moves from the CCRC, or upon his or her passing away. The amount returned depends on the length of stay, and the amount services used. This upfront fee prepays for care and also provides the CCRC money to operate. Monthly Costs: Aside from any required entrance fee, you are also required to pay monthly rent while you live at the community, just like you would for any apartment. These fees can range between $3,000 to $5,000 per month, AARP notes. A good thing about having to pay the high upfront fees is that these are fixed costs, so you know what your costs are going to be, Summerson says, but she adds that it also depends on the services included in the contract you choose. There are several types of CCRC contracts, each of which covers certain services at the community. Life Contracts (Type A): This is the most expensive options because these agreements cover unlimited assisted living, medical treatment and skilled nursing care without additional charges to use these services. The entry-fee for these contracts can range from $160,000 to $600,000, with monthly fees ranging from $2,500 to $5,400. Modified Contracts (Type B): Type B offers similar services to Type A, except that only some health care services are included in the initial monthly fee for a provided length of time (e.g. 30-60 days). Under these contracts, you still have to pay an entry-fee and an ongoing monthly rent. If your needs exceed what’s covered in the contract, you can still access additional services, but you will have to pay for them. Entry-fees for Type B contracts can range from $80,000 to $750,000, with monthly fees from $1,500 to $2,500, according to data from SeniorLiving.org. Fee-for-Service (Type C): These contracts generally also require an entrance fee and monthly fee, but these fees do not include any free or discounted health care or assisted living services. Under these contracts, residents pay the standard per diem if they need assisted living or nursing services, however, they may receive priority or guaranteed admission for those services. Costs for Type C contracts can range anywhere between $100,00 to $500,000 upon entrance and the monthly fees can range from $1,300 to $4,300. Rental CCRCs: Renting is another option. This type of contract typically doesn’tt require an entrance fee, but residents pay the prevailing rate for all services offered. Depending on the contract type, some CCRCs offer refunds of entry-fees, which can be passed onto heirs when a resident dies. This is a key provision you should consider when selecting a CCRC, Summerson suggests. Because the entry-fee alone is quite a large investment, many CCRC residents use the proceeds of selling their home, along with other savings, to afford the costs of living. “You have to put a big chunk of money in there,” “So you sell the family home and you put $300,000 to $400,000 into the CCRC,” suggets Ann Summerson, a Certified Financial Planner and vice president at The Wise Investor Group in Reston, Virginia. Meeting with an advisor can give you a better idea of your long-range financial planning calculations, enabling you to see just how far your assets and income can take you during retirement—and the steps you must take if your savings aren’t yet where they need to be. Another way to see if you can afford a CCRC would be to use a good online retirement calculator. Can you afford it? When is the best time? Will you still have an estate for heirs? How much might you save in other long term care costs? Caring.com has a Continuing Care Retirement Community search. A search for CCRCs in Orange County delivered 32 results, New Jersey had only 22 options in the whole state and Palm Beach County in Florida had 33 communities. Their search also shows prices and reviews.Many of the CCRCs are run by a handful of companies. So, if you find a style of community you like, but want to relocate, they might have options where you would like to live. Sunrise Senior Living is one of the biggest operators of CCRCs.